PORT HARCOURT—Rivers State Government has forwarded an executive bill to the state House of Assembly, seeking the amendment of the law setting up Ignatius Ajuru University of Education to among other things allow Professors with degrees in areas outside education qualify to be appointed Vice Chancellor of the school. Leader of the House, Mr Martins Amewhule, who presented the bill, said that the amendment sought was to ensure the best for the institution, stressing that there was nothing wrong in appointing a professor trained in disciplines outside education as vice chancellor. 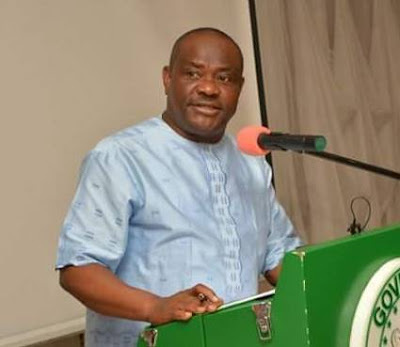 Wike He said that the law setting up the school when amended will raise the retirement age of professors from 65 to 70 years, while other staff will retire at 65. The amendment will also peg the tenure of vice chancellors at five years. Member representing Emohua constituency, Sam Ogeh, in his contribution, said it was illogical to deny a professor appointment as vice chancellor because his qualifications were not in education. Speaker of the House, Adams Dabotoru, who presided referred the bill to the House Committee on Education for further deliberation. A public hearing is to hold on the issue this week.